Renters’ insurance is one of those things that always seems “nice to have” until disaster strikes. But if you have been reading this blog for long enough, you know that in the long run, something like renters insurance is actually an investment rather than an expense. Life is so unpredictable and because we strive to help you make great financial decisions on this blog, I am here to tell you that having renter's insurance will save you a lot of physical, mental, emotional and financial stress should the need ever arise. If you are on the fence about getting it for your apartment, I hope to convince you with this post to get a plan as soon as possible. Plus, you can get renters insurance for as low as $4 with a company like Allstate. Let's dig into each of these 3 areas. This includes computers, jewelry, flat screen televisions, furniture and home appliances. All of these are items that cost a fortune. My guess is that you (or your parents) worked hard to acquire these items to make life just that more comfortable. Losing these items to thieves or through a fire, hurricane or water damage is devastating and especially so if you don't have renters’ insurance to replace the items after a loss. One of the things renters’ insurance allows you to do is to ensure every piece of property in your apartment so that in case you encounter any of these unfortunate events, you can call them up, fill the necessary paperwork and get the monetary equivalent of what you lost and replace each item. Having a backup plan like this for property loss is worth it. ​If someone gets hurt in your apartment or you accidentally cause damage to the apartment building, the medical and repair bills respectively can be taken care of by renters' insurance. We never want them to happen, but the truth is that accidents happen. Suppose while visiting your apartment a friend accidentally slips and gets hurt in your apartment and subsequently decides to sue you or you accidentally left a candle burning and it set the building on fire causing injury to other tenants in the building, your renters’ insurance can actually cover the medical expenses for the injured. Of course, the unfortunate events absolutely needs to be a mishap (an unintentional event) for it to be covered. Apart from taking care of the medical bills for people who got hurt in your apartment or as a result of a mistake you made, your renters’ insurance will also cover the cost of repairs for the damage. Imagine for a minute having to pay all of that out-of-pocket. It’s certainly not a comforting thought. With renters’ insurance however, you can rest easy (or at the very least, easier). Typically landlords will have insurance on their side that allows them to cover the cost of repairs for the building in the event of a disaster. What your landlord’s insurance will not cover however in most cases will be 1) the replacement of your property like we mentioned above and 2) your living expenses in case you need to move out of the property temporarily while the building is being repaired. Renters' insurance (depending on the plan you get) will cover your hotel expenses and meals if there is a need for you to move out of the apartment temporarily. This is a great thing because hotel costs easily add up. Spending just 3 days at a hotel can easily run up to $500. Using your renters' insurance to cover this expense is a welcome benefit. Some insurance companies will offer extra insurance for any extra valuable items you may be storing in your apartment as well. This would include engagement rings, rare paintings or pieces of art, autographed items etc. If you have these types of items, make sure you get insurance on them too! How much insurance you need will depend on the stipulations of your landlord. In general, the minimum coverage expected by most landlords in the state of California, for instance, is $100,000. If you have extra valuable items you can get coverage for up to $500,000 and typically the cost will be just a few dollars more. 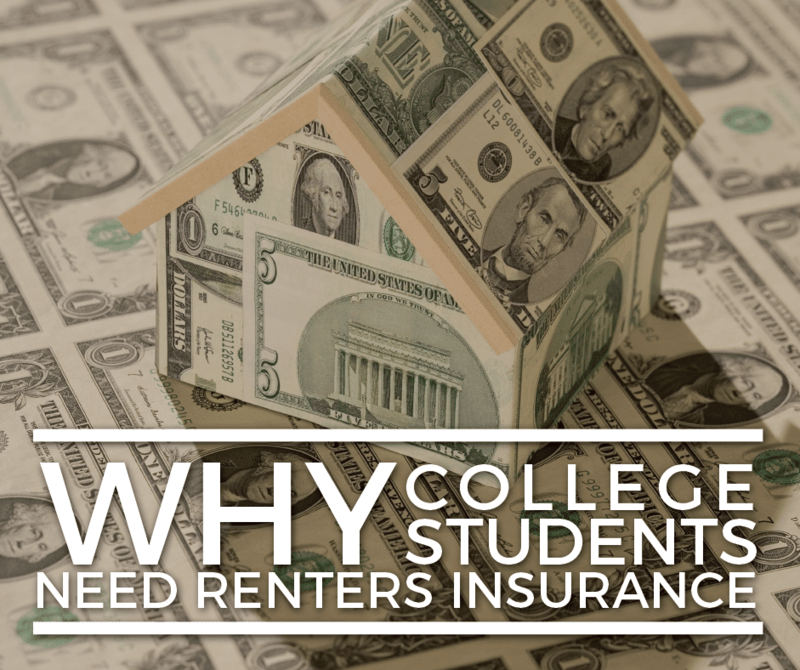 In some cases, you can essentially get renters insurance for free. 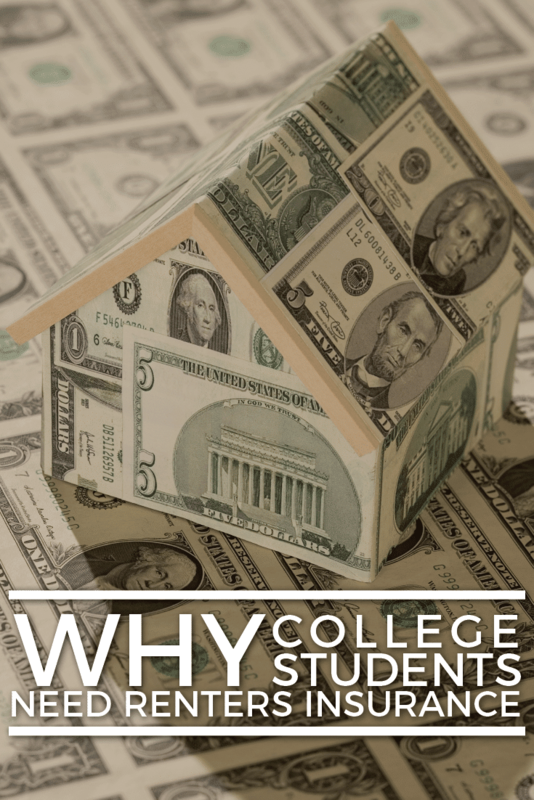 For example, when I got renters insurance in college, it cost me $4 per month. However, because I was able to combine my car insurance and renters insurance at one company, I qualified for a multi-policy discount. Compare cheap car insurance rates for college students here. That multi-policy discount was worth $12! Not a lot, but it covered the cost of the renters insurance plus some! Also, Policy Genius recently started offering Renters Insurance as well. We highly recommend their comparison tool - check it out here. Your best bet is to find out if the company that insures your car has a renters’ insurance policy. If they do, you can easily bundle it with your car insurance payments. Doing this will probably add $10-$15 extra to your regular car insurance payment. You don’t want one unfortunate event to be the reason why you have to give away 50% of your paycheck for the next 5, 10 or 20 years. Reduce your costs by buying renters’ insurance as soon as you are able to. Last but not least, make sure to read ALL the fine print when you purchase your renters’ insurance. Know exactly what you are getting so you are not left wanting when you finally need to use the insurance. What are your thoughts on renters’ insurance? Have you ever had to use yours? Let us know in the comments. Please share – many policies also cover things like laptops that might get stolen even outside your dorm room.